Kevin Switzer (front) drives Mizuno around the track during racing action in 2015 at Scarborough Downs. The sale of the struggling harness racetrack Scarborough Downs, and its 500 acres of land, is now complete. That’s according to Crossroads Holdings — managed by two sets of local brothers, William, Marc and Rocco Risbara III, of Risbara Bros., and Peter and Richard Michaud, formerly of Michaud Distributors — which closed on the land and existing buildings last week for $6.7 million. 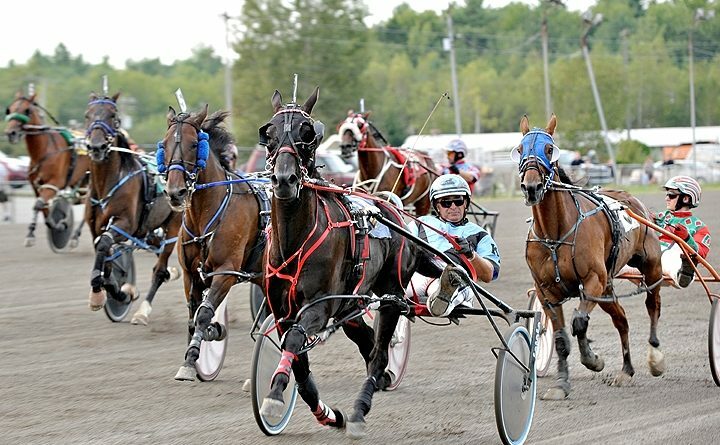 Scarborough Downs harness racing business also has been sold to Crossroads, though the company is not disclosing the purchase price for that piece. Crossroads said the longtime operators of the facility, the Terry family, will continue to run it, and retain the track’s 60 employees. Crossroads officials said they plan to invest more than $20 million in infrastructure improvements as part of a vision for the property that includes a town center with retail and commercial opportunities, along with mixed housing and other facilities. A public meeting with Scarborough’s planning board on the proposal is scheduled for Monday. This report appears through a media partnership with Maine Public.